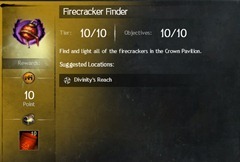 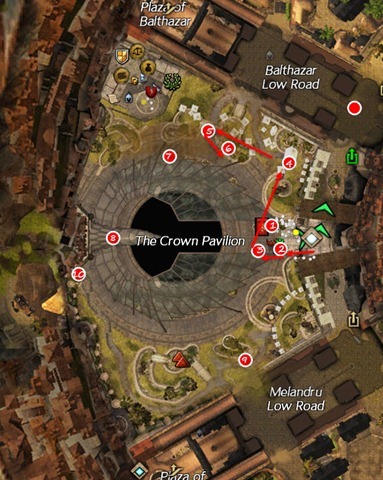 A guide to finding firecrackers in the Crown Pavilion for your daily and Firecracker Finder achievement. There are 10 Firecrackers in total, you only need 5 for the daily achievement but for the achievement Firecracker Finder you will need to find all 10. 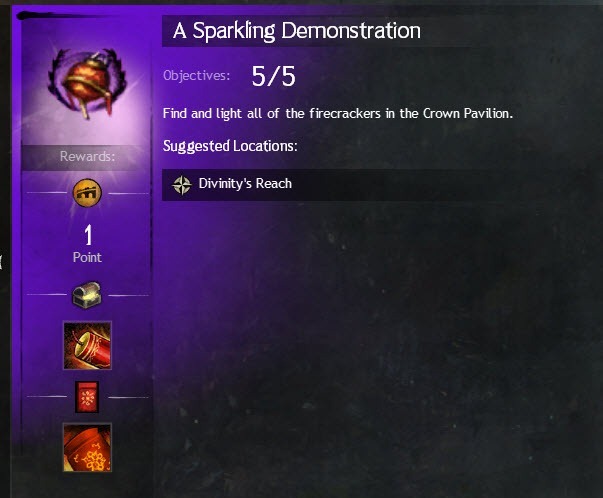 For doing the 5 for the daily, I recommend skipping the 1st one and just do 2, 3, 4, 5, 6 if you don’t feel like jumping too much. 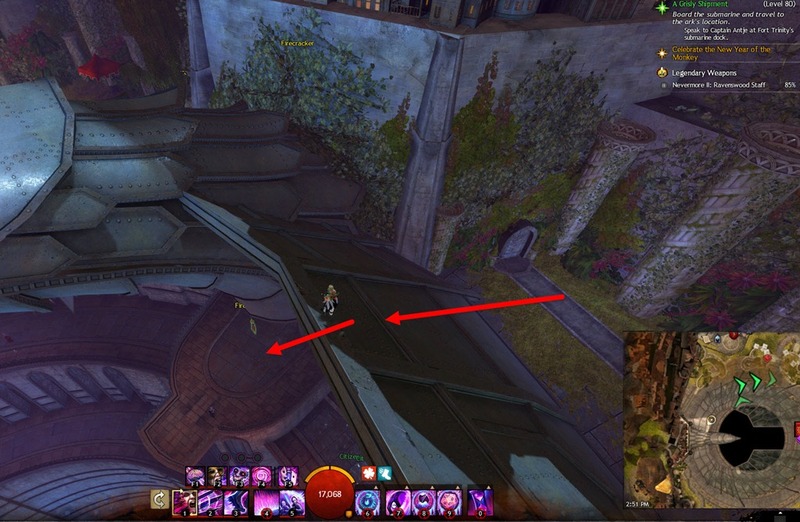 From the waypoint, go up the wall on the left and jump down. 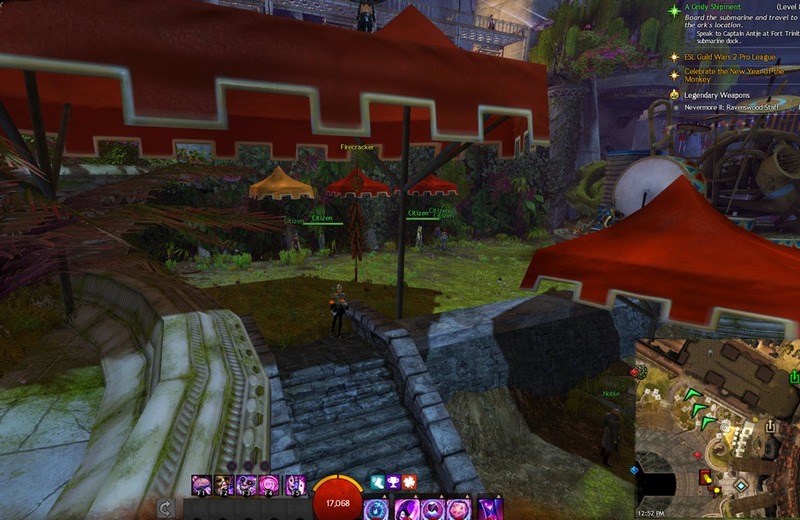 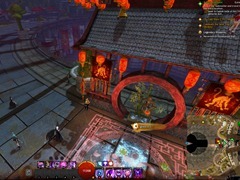 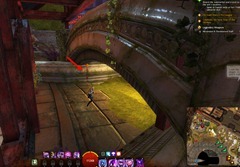 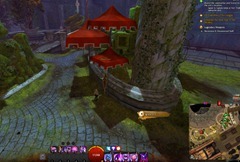 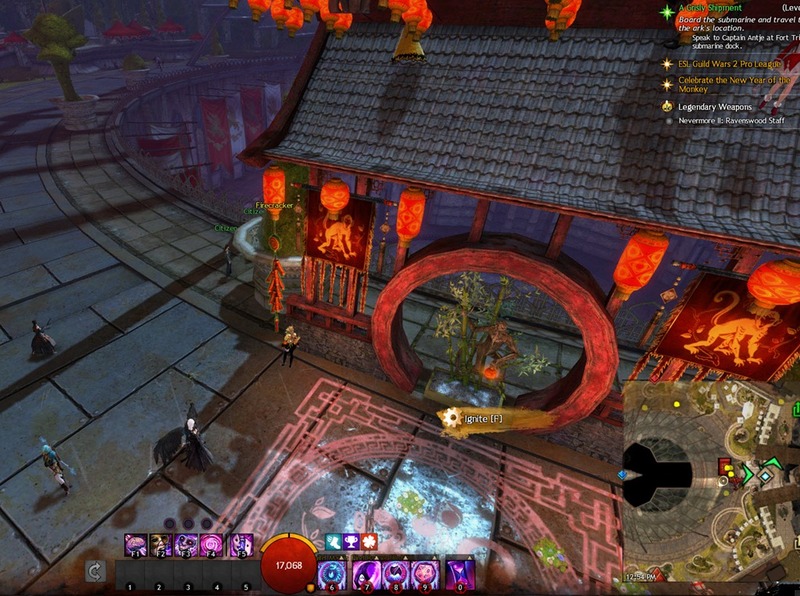 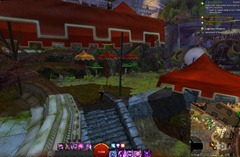 Can use gliding to reach this one or use warrior savage leap or just jump on the railing near the vendor and run to here. 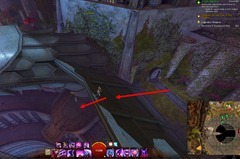 Glide down for this or run around the railing and then drop down. 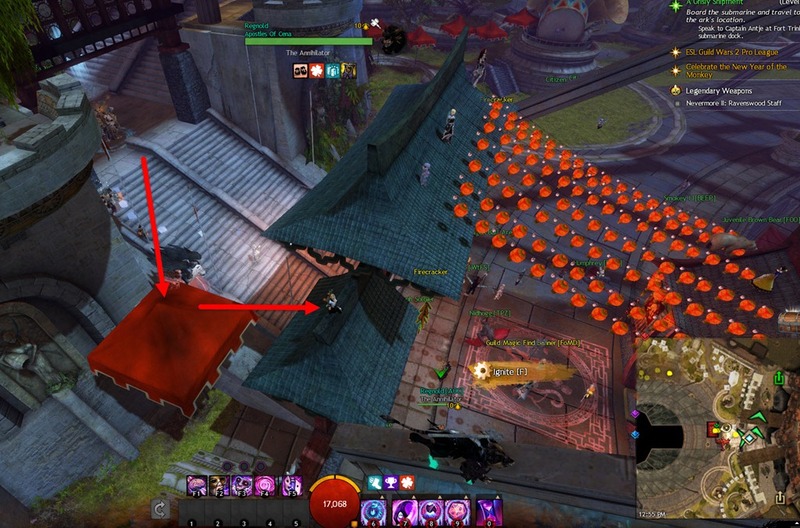 If you have gliding, just glide. 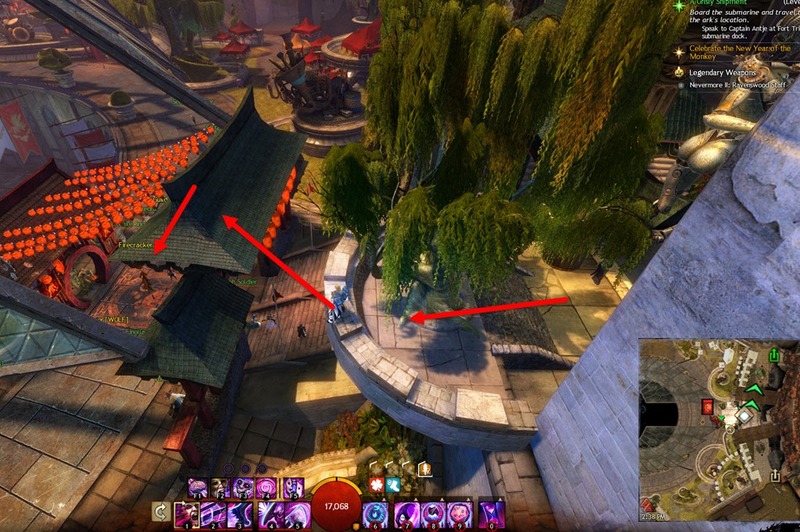 Otherwise you can try jumping up from the corner. Does this achievement award APs? 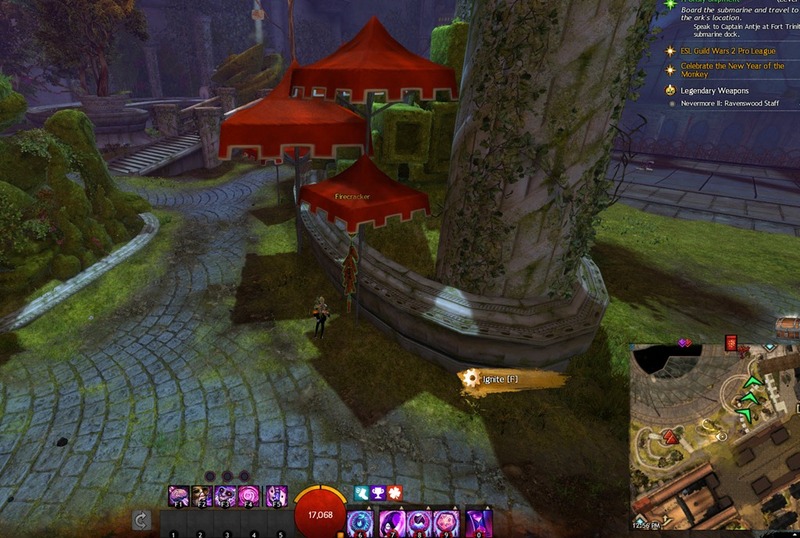 Not currently able to login. 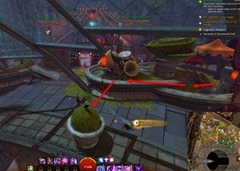 There is an eight one on the blue commander tag, you need to glide from top to reach it. 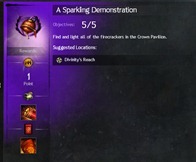 You get a chest after the first 5, but the achievement actually has 10 fire crackers and rewards 10 Little Lucky Envelopes and 1 AP. Personally, I’d do 2, 7, WP back, then get 3, 4, 5. 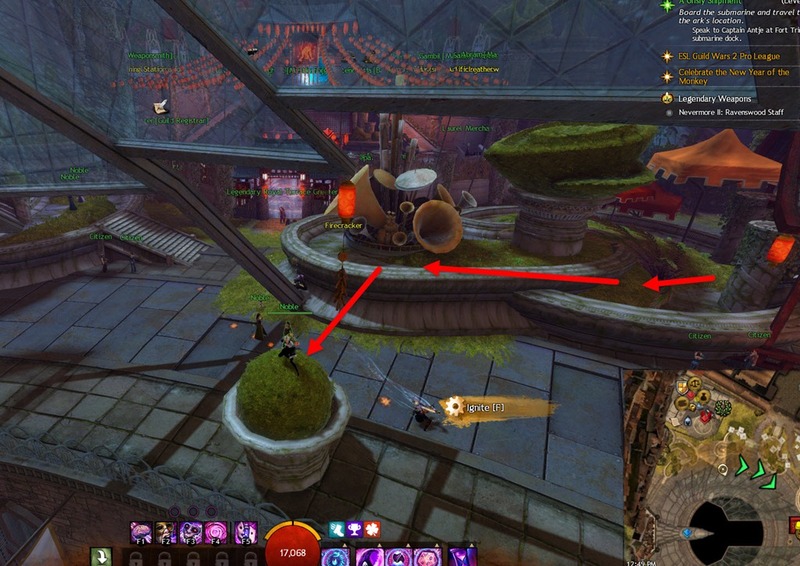 6 is a pretty easy glide. btw description says “affected by magic find” does this mean, that if i open envelope in silverwaste, i will get better drop ?? That’s what people did last year, open them after VW with full perserverance and the buff from killing VW (plus whatever else MF boons you could slap on). I never saw numbers to confirm or not, but certainly in theory that could be the case. 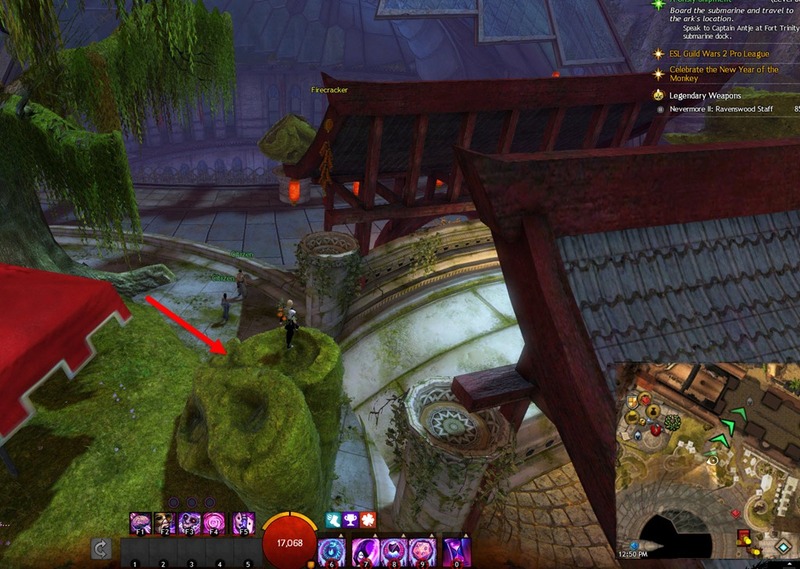 #10, why do it the hard way with gliding etc?!? 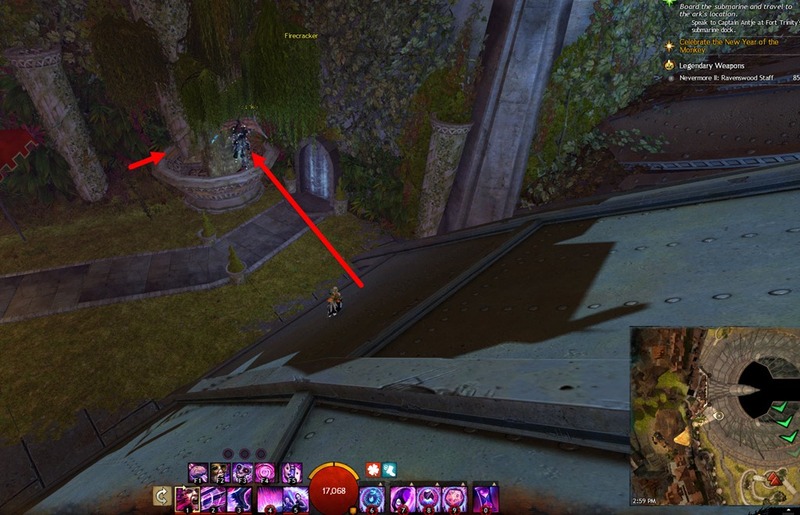 There is a plant pot next to the portal, just jump on that and you are there XD.